The Lake Norman Orchestra will open the season with a concert to benefit the East Lincoln Betterment Association. LINCOLNTON, N.C. - Sept. 5, 2018 - PRLog -- Join Maestro Eduardo Cedeño at the North Lincoln High School Auditorium, Saturday, September 22, 2018, at 7:00 p.m. as he kicks off the fall season with the Lake Norman Orchestra! The LKNO will perform a special, family-friendly, benefit concert supporting something we have a heart for – local community service organizations. The Lake Norman Orchestra is proud to support the East Lincoln Betterment Association (ELBA) with this special event. ELBA is a registered non-profit organization serving the Lincolnton area and is dedicated to providing services that enhance the quality of life, protect the environment, provide education and support local economic development. ELBA also helps provide access to area recreation and promotes entertainment within the community. You'll enjoy musical selections from Beethoven, Holst, Bernstein and Ravel. We can't get you to the moon, but we can entertain you with Mars! The party really gets with music from West Side Story, in celebration of the 100th birthday of Leonard Bernstein. There are other musical selections that will be sure to surprise and delight all ages. Everyone is welcome and admission is free for this event. Donations are encouraged and most appreciated. Your contribution, no matter the size, allows ELBA to continue to bring together community leaders and members in order to promote growth, progress and quality of life in the community. The Lake Norman Orchestra, (LKNO), conducted by Maestro Eduardo Cedeño, is a registered non-profit, community orchestra that embraces local musicians desiring to improve their musicianship, share their talent and provide quality entertainment throughout the Piedmont region of North Carolina. With more than 65 active all-volunteer members ranging in age from 15 to 70+, the LKNO is committed to forming community relationships, collaborating with local organizations and to its outreach and scholarship programs, often showcasing aspiring artists who participate as guests of the orchestra, including students from local schools and universities. 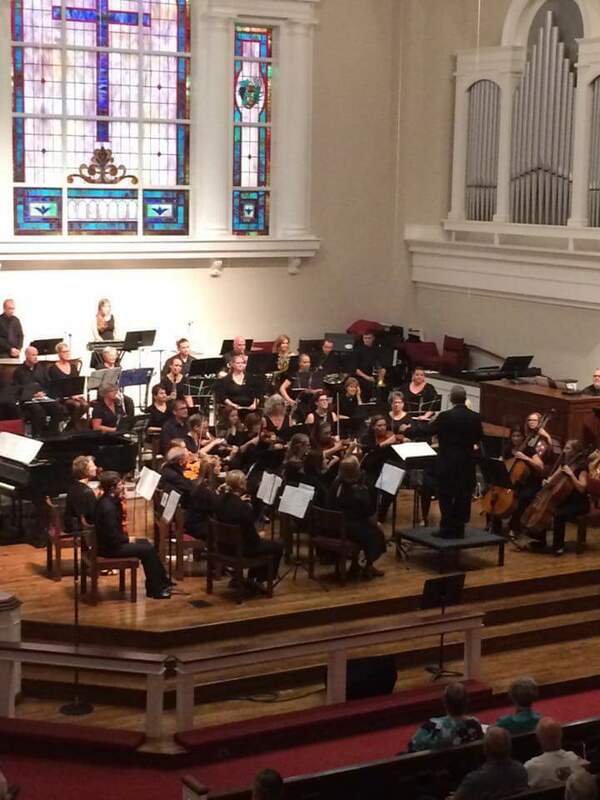 The LKNO performs from six to eight concerts a year; orchestra rehearsals are held every Monday evening, from 7:00 to 8:30 p.m. in facilities graciously provided by the Peninsula Baptist Church in Mooresville, NC. Maestro Eduardo Cedeño holds a Master's Degree in Music Theory from Butler University Jordan College of Music, Indianapolis with extensive music experience spanning the United States, Europe and South America. Cedeño studied conducting under the late Butler University Professor Emeritus Jackson Wiley and the Italian Maestro Ennio Nicotra. A founding member of the Simón Bolívar Symphony Orchestra, Director and Conductor of the Mérida Symphony Orchestra and Founding Member of the Coral Filarmónica de Caracas, Cedeño worked directly with acclaimed José Antonio Abreu. As a Founding Member of El Sistema, Cedeño continues to offer his time and talents to support its efforts in his community. Cedeño has collaborated with organizations such as the Philharmonic Orchestra of Indianapolis, Indianapolis Opera, Charlotte Civic Orchestra, UNCC Opera, Carolina Voices and orchestras in Venezuela. Cedeño is Music Director and Conductor of the Lake Norman Orchestra and Music Faculty at Mitchell Community College, Orchestra Director and Strings Instructor at Gaston School of the Arts, and Band/Orchestra Conductor at Langtree Charter Academy Upper School.